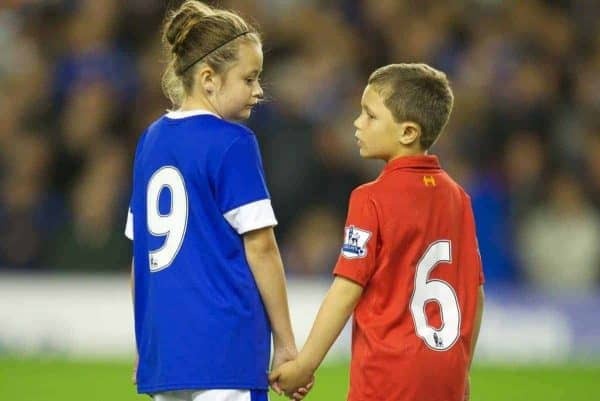 Liverpool’s rivalries were set aside on Monday as figures across football stopped to pay tribute to the 96, and those affected by the Hillsborough disaster. Monday marks 30 years since the tragedy at Hillsborough in 1989, and Anfield served as the scene for a poignant minute’s silence the day before. Jurgen Klopp‘s Reds and their opponents Chelsea stood around the centre circle as those in attendance all paid their respects to those who lost their lives that day in Sheffield. April 15 will remain an emotional day for the club long into the future, and its impact is clear on those who have any connection with Liverpool. On the 30th anniversary of the Hillsborough Stadium disaster, our thoughts are with @LFC and those who lost loved ones on 15 April 1989. Our thoughts are with @LFC and those who lost loved ones on the 30th anniversary of the Hillsborough disaster. Our thoughts are with the people of Liverpool today on the 30th anniversary of the Hillsborough Stadium disaster. A tragedy that will never be forgotten. 30 years on, never forgotten ? 30 years, never forgotten. We remember the 96. 30 years ago today, You'll Never Walk Alone. #JFT96 @LFC ?? Couldn't see me leave school,walk me down the aisle,meet his 4 grandson's,take any of us to a football match,be there through difficult times & worst of all he died alone. Unlawfully. 30 years ago on a beautiful April morning a car load of us headed across to Sheffield, we were lucky our car returned full, but we changed forever. 96 men, women and children went to a football match but never returned home. God bless the 96 ?? 30 years ago today, I not only lost my Big Brother but also, the only man, I have ever trusted and the only man to ever make me feel safe & secure! I miss and love you #AndrewMarkBrookes #Hillsborough more each day! Dad flew the early evening LPL? ?DUB service on April 15th, 1989. He came into our bedroom when he got home and told us to say a prayer for good people who had gone to heaven at a football match. Remember the 96 of our own who went to a football match and never came home. Today we remember and pay tribute to the 96 Liverpool supporters who left for a semi-final and never came home. We remember their families and friends, and we remember and continue to support the survivors of that day, 15 April 1989. Our thoughts today are with everyone affected by Hillsborough. Always in our thoughts. Forever in our hearts. RIP 96. YNWA.